You may have heard the stories about how people are selling clothes online while making thousands of dollars a month. This may sound far fetched but for some, this is what they do and they do it well. But for many others, selling clothes is a hobby, a way to clean closets and/or a way to make extra money. These days not only do you have the traditional ways of selling clothes locally, there are plenty of online options as well. 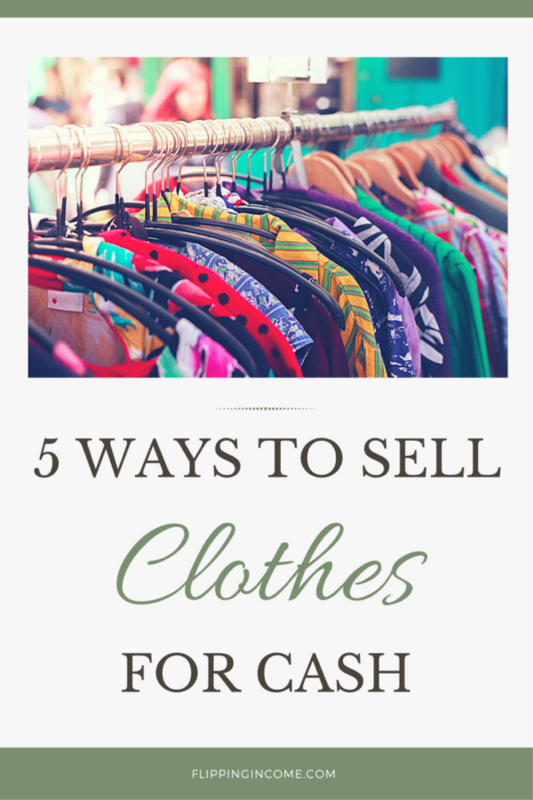 Let’s take a look at 5 ways to sell clothes for cash. 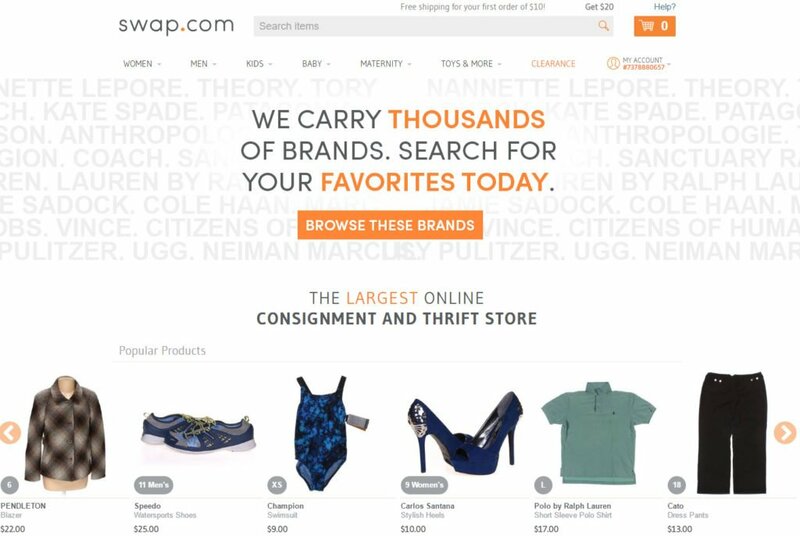 To start out, I wanted to talk about Swap.com which is the world’s largest online consignment store for baby, women’s, maternity and kids’ apparel and accessories. Swap.com has over 380,000 unique products with nearly 20,000 newly listed items added daily. Because of the selection, there are thousands of people browsing daily for both used and new clothes. To get started, simply open up an account and request a shipping label. After the clothes you shipped have been received, the clothes will be sorted, categorized, photographed and listed. You simply log on and set your price and let Swap.com handle the rest. As simple as that! And if you can’t sell your clothes, Swap.com will make you an offer for them. Swap.com is also one of the places I recommend people buy clothes from to resell. Take a look at Buying Clothes From Online Consignment Stores to Resell. ThreadUp is another online consignment store that started with kid’s clothing and now has transited to pretty much everything. Threadup definitely has the branding going for itself and is well recognized. To get started simply request a clean out kit and have your clothes shipped to them. 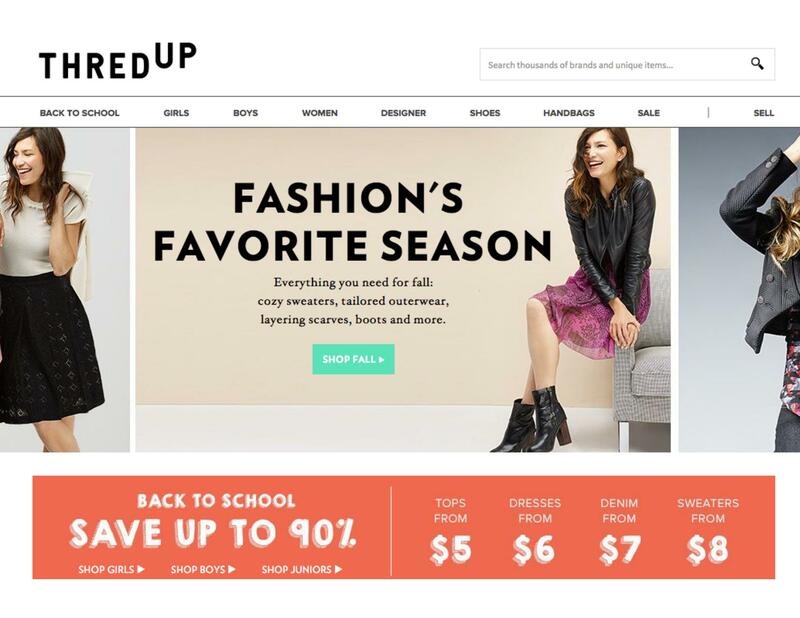 Next, you’re presented with two options, one is directly selling to ThredUp or two is to sell by consignment. If you don’t want to wait for clothes to sell, simply sell to TreadUp can collect the money asap. But if you are looking for top dollar, put your clothes up for consignment and wait for the sale to come in. Poshmark is an app based selling platform that has over a million people looking to buy clothes. Poshmark gained a lot of popularity years ago when a few news outlets published stories focused on young adults who were making over six figures a year simply selling used clothes on Poshmark. 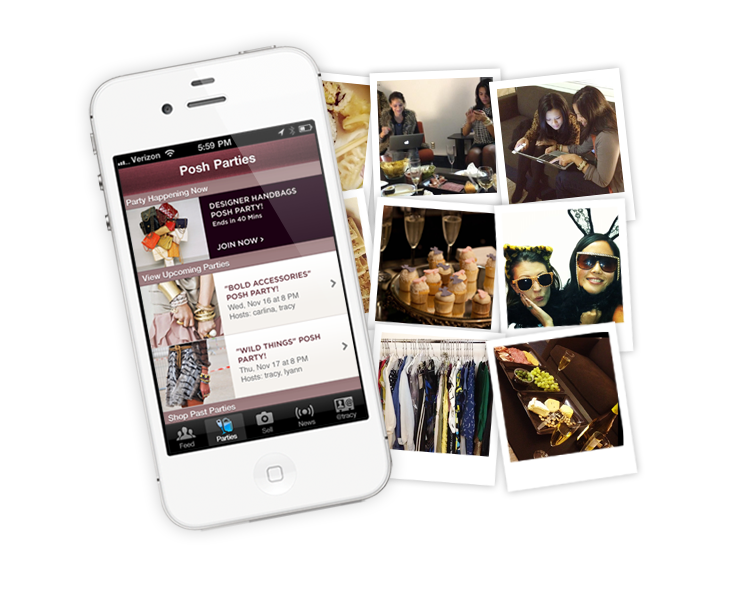 To get started, download the Poshmark app from the Apple Appstore or Google Play store. Snobswap an online consignment store for high-end used clothing and accessories. Louis Vuitton, Chanel, Gucci, are just a few brands you might see on this site. If you want to resell clothes, accessories or shoes that may be too expensive for some of the other options then this is the place to be. Just like some of the other options above, you do not need to list items yourself. Just send SnobSwap what you want to sell and things are taken care of with very little hassle. SnobSwap does things a little bit differently from Swap.com or ThreadUp. When buying, you can buy at face value or present an offer to the buyer. And when selling, you are presented with doing cosigning online or cosigning with a local retail store near you. Good old eBay, the online marketplace that you can literally sell anything. 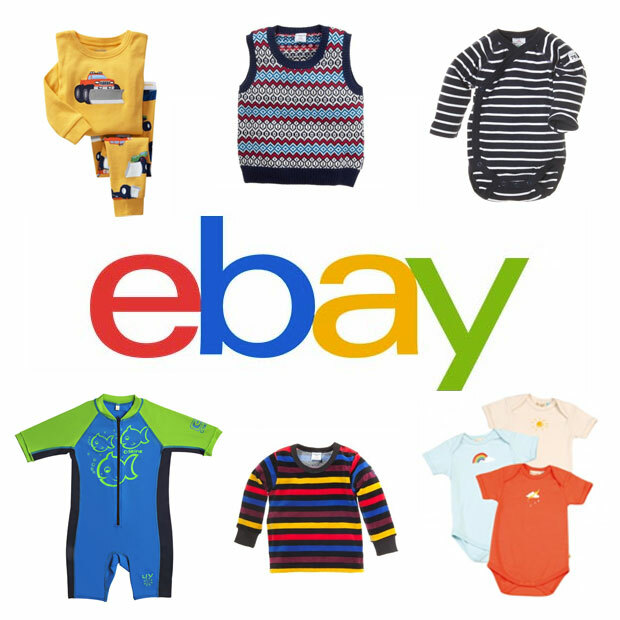 Millions of clothes are being sold on eBay and with millions of people browsing daily, selling clothes on eBay is not a bad option. To get started, make sure you have an eBay and Paypal account created and then start listing away. Today, there are a lot of places you can sell clothes online for cash. Besides hosting garage/yard sales, selling clothes online is definitely something everyone should consider because of the convenience and exposure. In addition, having the flexibility of not sitting around all day waiting for something to sell allows busy parents to concentrate on other things going on in their lives. For those starting out, I suggest starting by selling clothes from your own closet first. Get a feel for how things work and then branch out. If you’re looking to flip clothes for profit, start looking at thrift stores and garage sales for bargains. You can also look for greatly discounted clearance items from retail/online stores (Buying Clothes From Online Consignment Stores to Resell) to sell. 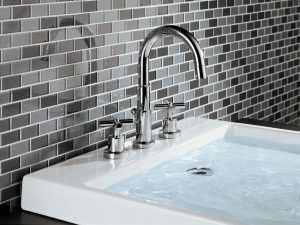 They can net a nice profit especially after utilizing coupons and cash rebates. Free to set up an Ebay account. You can also use Craigslist and sell locally if you don’t want to mess with it.